In addition to Tanakh, we as Messianic Jews have another authoritative source for the making of halakhic decisions: the Apostolic Writings. Yeshua himself did not act primarily as a Posek (Jewish legal authority) issuing halakhic rulings, but rather as a prophetic teacher who illumined the purpose of the Torah and the inner orientation we should have in fulfilling it. Nevertheless, his teaching about the Torah has a direct bearing on how we address particular halakhic questions. As followers of Messiah Yeshua, we look to him as the greatest Rabbi of all, and his example and his instruction are definitive for us in matters of Halakhah as in every other sphere. and dealing with secular authorities. This series isn’t taking the direction that I thought it would. At the end of Part 4, I really thought I’d return to a high-level view of the evolution of Judaism, perhaps lightly going over the development of the Talmud. This would mean doing a bit of reading and probably delaying Part 5 (this part) of the series for a while. Then, on a whim, I decided to read “Standards of Observance,” which is the MJRC’s treatment of “Messianic Jewish halakhah;” certainly a controversial subject given the responses I’ve been fielding in Part 3 and Part 4. Thus, another “meditation” was born. As I’m writing this, I haven’t gotten past page 2 of the 39 page MJRC document, but when I read the portion that I quoted above, I got to thinking. I generally consider halakhah to be a matter of how Jewish people operationalize their observance of the 613 mitzvot, which is how contemporary Judaism codifies the commandments to Israel in the Torah. But if “the Book of Acts and the Apostolic Letters provide crucial halakhic guidance for…Messianic Jews,” by definition, it must also provide relevant halakhah for the non-Jewish believing community as well. This is complicated by two potentially competing positions: the halakhah as it is presented in the New Testament (NT) Gospels, book of Acts, and Epistles, and how the MJRC chooses to conceptualize, organize, and apply that halakhah. Actually, even within the context of the New Testament, how we view the relative authority of this halakhah upon the daily lives of non-Jewish Christians depends on whether or not we see this NT halakhah as fixed, static, pronouncements that were intended to be inflexibly binding on all Christians everywhere across time, or whether at least some of this halakhah was specific to individual congregations, situations, and other contextual factors, and was meant to be adaptive across time, to the point in some cases, of not applying significantly or at all to Christianity in the 21st Century. Taken literally and in its simplest form, Paul would seem to be saying that when men pray, our heads should not be covered, but when a woman prays, her head must be covered (presumably in a public setting such as communal worship). According to the notes for vv 5-13 at BibleGateway.com, “the Greek word gunē is translated wife in verses that deal with wearing a veil, a sign of being married in first-century culture.” This adds some context to what Paul is saying that we would miss by reading it in English. The head covering that is to be applied to women is specific to their marital status in specific cultures as they existed nearly 2,000 years ago. There are no immediately available notes for why a man’s head must be uncovered, but this would seem to go against the later tradition that men wear kippot when in the synagogue, although, of course, Paul is addressing non-Jewish believers in this case (keep in mind that any blanket declaration of halakhah forbidding men to cover their heads in prayer directly contradicts the modern practice of Gentile men in Messianic, One Law, and Two-House congregations to wear kippot). My example seems to show us that it is certainly possible and likely that not every single pronouncement of halakhah that flowed from Paul’s pen was supposed to apply generally across all churches everywhere and “everywhen.” That is, we can believe that some “Messianic halakhah” as it applies to non-Jewish believers was never originally intended to be permanent, fixed, static standards of practice religious practice. Which means we’re going to have an interesting time trying to figure out which portions of the halakhah in the NT continues to have force today and how we are to observe said-halakhah in our local communities in the present age. I want to make certain that I communicate the following clearly. Whatever definitions that the MJRC has produced relative to “Messianic halakhah” can only apply to Messianic Jews who are members of congregations affiliated with the MJRC. This is certainly in keeping with halakhah in any other Jewish community, regardless of scope, since, for example, how halakhah is applied within the context of Chabad is most likely different from its application within Conservative or Reform Judaism. For all I know, there may be variations within specific local synagogues that are “contained” within the same sect of Judaism. (Arguably, and I haven’t read the entire MJRC document yet, any halakhah developed by the MJRC would have some sort of impact on the non-Jewish membership of each affiliated congregation, but I don’t know yet what the scope of that impact might be. However, if you are a non-Jewish believer and you choose to attend an MJRC affiliated congregation, you agree to become subject to their authority. Keep in mind that even in the most “Jewish” of Messianic Jewish congregations, the majority of members and perhaps a few folks in leadership, are non-Jews). The next question is whether or not it is appropriate and desirable for groups of non-Jewish believers to also attempt to organize a sort of “Christian halakhah” from the NT that would apply to churches and Hebrew Roots groups. However, where it might get a little strange is when/if such Gentile organizations access the larger body of Jewish halakhah that extends well beyond the pages of the NT and into the writings of the Mishnaic Rabbis. While I can understand why organizations that are formed by Messianic Jews as a resource for Messianic Jews and Messianic Jewish congregations would want to delve into the accepted body of Talmudic thought, it’s puzzling why a Gentile would choose to do so. And yet, we see Gentile groups forming “Beit Dins,” wearing tzitzit and laying tefillin in accordance with traditionally accepted Jewish halakhah, and performing other Jewish religious practices that cannot be found in the NT and indeed, practices that weren’t codified (such as wearing kippot) until many centuries after the writers of the NT books and letters had died and their bones had turned to dust. My final note for this missive is one of irony. If written Torah, the Christian Bible, and Jesus are the only valid authorities for religious practice and lifestyle in the Hebrew Roots movement (including One Law/One Torah, and so on), then why do all of their groups and congregations follow a modern Jewish synagogue model when they worship? Why do all the men where kippot? Why do all the men wear tallit gadolim with tzitzit that are halalically correct? Why do they daven with modern Jewish siddurim? Why, in less than a week, will they construct their sukkot according to Rabbinically prescribed specifications? It is completely understandable why any Christian church or congregation of Gentile believers in Jesus, regardless of their emphasis, should want to carefully study the NT documents and to derive whatever practical knowledge it contains for Christian religious practice in the modern era. On the other hand, it’s rather mysterious what some Hebrew Roots groups believe they will get out of studying the extra-Biblical Rabbinic texts and applying practices and concepts related to a Beit Din, Farbrengen, Ritual purity, Shmita, and so on. If halakhah has the ability to evolve over time within the Jewish context, we can expect Jewish communities to practice one of the current forms within their local boundaries. The same can be said for Christian religious and lifestyle practice relative to the various Christian churches and denominations. I would never expect a Christian church to borrow significantly or at all from any Jewish halachic source in establishing accepted Christian religious behaviors. Why then, as I’ve asked before, should Gentile Hebrew Roots organizations desire to borrow heavily or almost exclusively from post-Biblical Jewish halachic practices, especially if said-groups only recognize the “written Torah” and New Testament as their only legitimate authoritative documents? I know all this sounds like I’m trying to pick a fight, but given all of the “resistence” to the Talmud registered by Hebrew Roots people and how they say they don’t consider Talmud as an authoritative guide, the fact that virtually all such groups model their worship practices on modern Jewish synagogue services is truly baffling. Hi James. I am also perplexed by non-Jewish groups adopting distinctly Jewish practices, including halakhah that was fashioned exclusively by and for Jews. I’m not surprise that they are attracted to things Jewish – they are attractive! But they could easily follow your model of learning from the sages, without adopting Jewish practices, and also begin to explore their Christian heritage which is rich as well. Carl, I can only hope that some of the people who this message is most appropriate for will read it and at least consider the inconsistency between their stated beliefs and their actual behavior. I agree that there is much in Judaism that is attractive and I appreciate the wisdom and insight of Jewish traditional writings. However, the Christian heritage is rich as well and we are very blessed by God through the Messiah. If more Christians who are attracted to Judaism can gain that perspective, there would be no need to try and borrow so much that, as you say, was created by Jews for Jews. However, human nature being what it is, people don’t change easily, even when presented with a picture that I think is terribly clear. In conclusion, the One Law folks hold to the traditions (1 Cor. 11:2) and maintain gender distinctions; the MJRC, on the other hand, would have the women acting like men. By the way, halachic Judaism (i.e. Rabbinic Judaism) thinks this business of allowing women to pray with tallit and tefillin is a disgrace–they side with Paul on this one. And I agree with the Rabbis and Paul–the position espoused by the MJRC is a complete disgrace. Frankly, I don’t see how you can avoid this one Peter. You can ignore it (as you have done in your comment by focusing on a tiny detail while avoiding the primary issue) but it hangs upon One Law proponents like a shroud. I’ve said repeatedly that I see the Talmud as a persuasive authority, distinguishing it from a other authorities such as the mandatory authority of Written Torah or communal enactments to which one is bound by covenant. I don’t know where you’re getting this idea that the Talmud is not seen as ANY SORT of authority in One Law. It’s easy to just make stuff up James. But if you require yourself to cite evidence then you’ll find that you don’t have any. You’ll find that I’ve explained my views quite clearly on the matter and, hence, it’s ridiculous to say that I’ve somehow dodged the matter. I don’t know where you’re getting this idea that the Talmud is not seen as ANY SORT of authority in One Law. Actually, from you. If it doesn’t have Divine authority, then it’s just the stuff that Jewish rabbis made up to try and provide standards for performing the mitzvot for the various Jewish communities in the Post Second Temple world of the last 2,000 years. Given that context, while I can make an argument for the majority of the traditional halakhah applying even to Messianic Jews, I can’t see how any of it (there may be very minor exceptions) applies to the non-Jewish worshipers of Christ. I’m hardly making things up. Any One Law congregation I’ve ever been to, including Tim Hegg’s, is modeled directly from a modern (non-Messianic) Jewish synagogue service. The vast, vast majority of the service is derived from Talmud and to a certain degree, Kabbalah (some of the prayers in the siddur quote from the Zohar). If your goal is to re-attach yourself to First Century CE Messianic worship and halalachic practices, you won’t be able to do it by imitating modern Jewish halakhah. This point has bothered me for a long time, even when I was in One Law. If we say that we put away the “man-made traditions” of the Rabbis, then how can we, or rather One Law, justify modeling its entire public and private religious practice on “the man-made traditions of the Rabbis” as opposed to what little is known of New Testament church practices? What documentation do you require for me to substantiate my point? Where do you think Jewish synagogue service practices come from…the Torah? …the letters of Paul? In spite of what I said at the end of my last paragraph, there *is* no documented model for New Testament church “order of service.” Because of that, technically, a Baptist church service isn’t particularly right or wrong relative to non-Jewish worshipers of Jesus. However, a synagogue service model only makes sense for Jewish disciples of Yeshua who access the larger body of Talmudic knowledge because they’re Jewish and they adhere to Talmudic authority (of course, any non-Jews who choose to attend a Messianic, or any other kind of synagogue, would be subject to the authority of halakhah as it applied to them because of their presence in the synagogue). Sorry, but I don’t think you have a leg to stand on in terms of the points I’m raising. 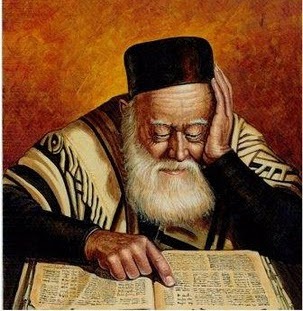 The minute you put on a tallit gadol and say the specific blessings for doing so; the minute you lay tefillin and say the appropriate blessings for doing so, you’ve said that you recognize the Talmud as having some sort of authority and that the only way you can be “Messianic” is to comply with significant portions of halakhah as defined by the Jewish sages. You can hedge your bets by saying that it is a “sort of” authority but not a mandatory authority, but frankly, if Jewish halakhah is optional, where are your other options? I’m the one who is saying that the mitzvot and halakhah that are specifically attached to Jewish identity are optional for Gentile Christians like us. Are you and I finally agreeing on something…that Jewish practice for Gentiles is optional and not mandatory? I’m not saying that you can’t adopt additional mitzvot as your conscience dictates and many non-Jews who are attracted to the Jewish practices do so in the privacy of their homes and their small groups and congregations. I’m saying that, in imitating Jewish worship behaviors, you are granting authority to the Talmudic sages over your worship. Just how finely are you trying to split these hairs? What’s wrong with innovating law? In fact, if we weren’t able to innovate law (Deut. 17) then we couldn’t have a court system because each decision is an innovation–a brand new application of the law to a particular set of facts resulting in a new rule. If we couldn’t innovate law then we wouldn’t be able to memorialize Chanukah or the Shoah. That’s not our goal and we don’t believe in blind imitation. We believe in establishing CONTEMPORARY halacha and we believe we can do it by utilizing all available sources of law (e.g. Written Torah, Rabbinic sources, guidance of the Ruach, etc) and exercising jurisdiction at the local level. I don’t advocate “putting away the man-made traditions.” On the contrary, I see them as persuasive, non-mandatory authority. I believe that custom can carry the force of law. But I hold the Written Torah (which includes the New Testament) up as the Constitutional authority. It’s the means by which we test the validity of all traditions. Hi James. Peter is correct, but only because he has avoided engaging with the implications of your term “authoritative guide” and substituted the term “persuasive authority.” The one has is only minimally related to the other. One problem with considering the Talmud as a “persuasive authority” is that it does not construe itself that way. In areas where it speaks authoritatively (“such and such is commanded, forbidden, or permitted”), it presents itself as case law which must be followed. Tim Hegg’s article on “Tradition” (http://www.torahresource.com/EnglishArticles/tradition.pdf) may not strictly use the “persuasive authority” approach, but it does shed light on it. Hegg does not accord the Talmud (or tradition) as a whole, or any of its parts, any binding authority. He believes that traditions are to be avoided if they (appear to the person making the evaluation) to conflict .with the Bible. The remainder may be valuable in certain respects, but they are not binding and therefore no one is to be judged as to whether they keep them, how they keep them, or don’t keep them at all. It seems that Hegg views the Talmud (or more broadly, Jewish tradition) as a collection of sayings or conclusions, some of which must be rejected completely and others of which are persuasive, meaning that they can be accepted, rejected, or modified by individuals and groups. I have no idea whether Hegg’s approach is common in the One Law movement or whether Peter’s characterization of the Talmud as a persuasive authority is common. You might want to talk with Dan Benzvi and particularly Tim Hegg about that, since I believe they have both said that the Talmud is pretty much devalued as an authority of any type in the One Law community. according to the Conclusions section of his Oral Torah paper (conclusion #6) he states that it is valuable for study as a history of Judaism, understanding Rabbinic development, a sort of window into late 2nd Temple period culture (although I’m not sure how that would apply), the oral traditions of the scribes, and aiding “Messianic believers” in understanding modern observant Jewish religious perspectives. At no time does he say that the Jewish halakhah has any sort of authority, optional or otherwise, over Gentiles in One Law (and probably discounts its authority over Jews in the Messianic movement). Obviously, I have no problem with you as an individual or in cooperation with other One Law practitioners developing your own authoritative or guiding religious practices. Both Christianity and Judaism have been doing that, probably since both came into existence in any formal manner. Just remember that you are borrowing heavily from a system that wasn’t designed to be applied to non-Jews. As you’ve admitted, by necessity, in order for you to do this, you have to elevate halakhah to a level where it can be implemented in the performance of the mitzvot (as you see the Jewish mitzvot applying to One Law Gentiles). You have to say that it’s the only way you know how to obey the ancient Torah commandments as well as the commandments of the Jewish Messiah. You have to say there is value in Talmud beyond what One Law scholars like Hegg (and he may be the only One Law scholar) say is valid. I didn’t see this until after I posted my previous comment, Carl. One Law, from my perspective, is a highly variable movement where religious practice can be quite different on a congregation-by-congregation basis, so there are few standards we can point to and say “that’s One Law” beyond the basic tenet that the Torah applies to both Jewish and Christians equally. That said, Hegg may be the only scholar within One Law who has the credentials (I believe he has two graduate degrees, one in Theology and the other in Divinity) to credibly offer educated insights into his theology. There may be others, but I don’t know if they’re widely published. Thanks for the definitions regarding “persuasive authority.” Having not attended law school, that one escaped me. I agree that One Law cannot consider Talmud as a “persuasive authority” because the intent of the Talmudic writers was not for it to be applied to a Gentile Christian population. If intent has any sort of meaning here, then I don’t know how Talmud becomes a Christian authority in any manner. I can see One Law choosing to adopt certain elements from Talmud as the basis for their own religious practice, but it would be wholly voluntary. It would be like saying that the sages had some good ideas that they’d like to borrow from. For non-Jews though, I don’t see how those practices necessarily enhance a Gentile’s worship of the Jewish Messiah. As an advocate for One Law, whether or not we borrow or adhere to some of the Rabbinic interpretations, just as we borrow some from Christianity, which we do, does not necessitate authority, we just agree with certain interpretations, and the “how much” is deemed by the authority of the local community. If Judaism borrowed some of Christians traditions, it would not mean they now believe in Christian authority. And if you consider where Christianity acquired the idea of a “Church”, simply look at the synagogue. This does not mean Christianity accepts the authority of Rabbinic Tradition. That being said, One Law finds wisdom in both Christianity and Judaism, and One Law does not shun all things considered “man made tradition”, only that which is considered to ‘neglect the commandments of God’. It is really not all that hard to understand or grasp, I think it just conflicting for your own separatist beliefs, thus you are confused by such. I’ve read Hegg’s writings (a good number of them anyway) and I’ve had many conversations with Dan. They both seem to hold the traditions up as persuasive authority. This means that they accept some and reject others, using the Written Torah and Ruach as a way of deciding. In this way, our methodology is identical. Does it mean we’ll all arrive at identical practice? Not at all. It merely means that we three have more in common than you might suppose. By the way, Carl may not be aware of this but the idea of viewing halacha in terms of persuasive and mandatory is nothing new (see Rabbinic Authority, Berger). Peter and Zion, if you choose to borrow from different religious traditions in order to form your own, while it may not make a lot of sense to me, it is certainly within your rights to do so. If you choose to call the Talmud a “persuasive authority” as an explanation for what you’re doing and why you’re doing it, again, you are perfectly free to do so. But don’t you think there is a conflict between taking such a position for yourself and then saying that Messianic Judaism isn’t justified to considering Talmud an authority, even a Divine authority, over their religious practice? If you have the right to choose to voluntarily borrow from a tradition that is not your own, then why don’t Jews have the right to choose to adhere to a tradition that is their own? For that matter, why can’t the MJRC and other Messianic Jewish organizations choose to adhere to Talmud and adapt their own halachah? You can’t have it both ways. I also have to disagree with what you said Zion about One Law not shunning all man made traditions. I’ve directly spoken to many OL practitioners who have told me point blank that they don’t hold to the “traditions of the elders” which is how they define the Talmud and the sages. Nevertheless, they still wear tallit gadolim and light candles on Erev Shabbat. It’s like I said, maybe you don’t totally shun the Talmud (only certain parts of it perhaps), but OL is an extremely fragmented and highly variable group of religious practitioners. Also, relative to the “Oral Law” paper of Hegg’s, nothing he wrote indicates that he holds Talmud in any form as a “persuasive authority”. I’ve already paraphrased each of his points as far as how he does see the value of the Talmud. One-Law, Two-House or other loosely associated Hebrew Roots movements are not “Messianic Judaism”. 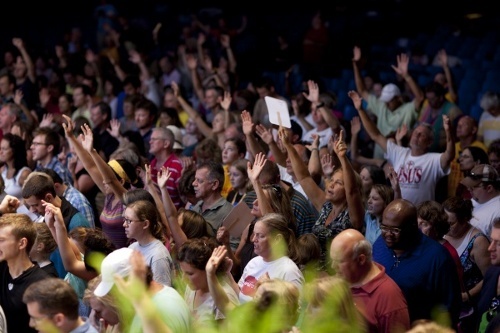 Furthermore, these movements are not only not “Judaisms” in any sense (with virtually no Jewish involvement at any level), many of them share a disdain for “rabbinic Judaism” (while hypocritically borrowing heavily from it at will), have an antagonistic relationship with Messianic Jewish organizations, and oppose and denounce theologies of Messianic Jews as rabbinic and racist. First, James, they don’t “adhere to the Talmud.” They don’t claim to and they just don’t. The only critique I have with the MJRC is that they purport to “decide” matters of halacha for entire Messianic movement. The content of the MJRC code isn’t the problem. If a local community chooses to adopt aspects of MJRC code then that’s their prerogative. But it’s the local community that has that power, not the MJRC. Therefore, I disagree with the presupposition that the MJRC has the authority to decide anything. It looks like overreaching to me. What you’ve described is a communication breakdown. They obviously follow SOME traditions as evidenced by their practices. I’m guessing that the phrase “traditions of the elders” might have been part of the confusing since this is an ambiguous phrase in need of contextualizing. As to Tim Hegg, you say you’ve paraphrased his points. I would encourage you to cite to his writing when you try to characterize his beliefs. Some of his beliefs are more nuanced than you might imagine. As you can readily see, he wears a kippah, his site closes on Shabbat, etc. He clearly respects aspects of Rabbinic halacha. Yet, he also advocates One Law. This proves my point that he views Rabbinic authority as persuasive, non-mandatory authority. He picks and chooses. This is entirely in keeping with Jewish tradition. We question. We argue. Many prominent Rabbis, for example, fought the codification of Jewish law. Tim Hegg asks things like “Which Mishnah did Paul follow?” in a tongue-in-cheek manner to demonstrate that, while Paul followed certain traditions, we can’t be sure that the contemporary traditions derived from Mishnaic Judaism are the same as those followed by Paul. Indeed, they would certainly be different since Judaism evolves over time. “The term spheric has generally been translated as scribes. As a leader of culture, the sopher was usually the one who possessed the then rare skill of writing, and his derivative function was therefore that of scribe. In its original meaning, however, sopher was primarily a narrator or teacher, an expounder of a body of tradition; and his work was essentially oral…The great task to which the sopherim gave themselves was the popularization of the knowledge and appreciation of the Torah. They instituted the public reading of the Torah not only on Sabbaths and festivals but on those weekdays, Mondays, and Thursdays, when villages gathered in the town markets,” The Wisdom of the Talmud. Yeshua could endorse this system because it was a flexible system that allowed alternative opinions. He argued for alternative opinions all the time and was allowed to do so because He was Himself a Rabbi and everyone knew that He could actually support His arguments from Scripture. Plus, people respected the fact by itself that He was a Torah-teacher. He was allowed under that system to devise halacha for His “family” of students. By the way, Torah says that Abraham and his wife “created” souls which is another way of saying they added proselytes to their family and taught halachah to them. So I’m using family in this sense of a halachic community. If we exercise the authority to devise halachah for our families, we must follow Yeshua’s example and do it within the framework of Judaism, respecting the various strands of Judaism whilst utilizing the freedom to argue for our own approach within that framework. You’ll note that this flexibility is what made it possible for Yeshua to command someone to pick up his bed and walk on the Sabbath and still proclaim “Obey the scribes and Pharisees!” The scribes and Pharisees were not uniform. There were MANY different types of Pharisees. So there was no contradiction. My autocorrect unfortunately changed “sopherim” to “spheric.” Oy. I hate that autocorrect. Gene, I missed this part of Peter’s comments before. I agree (and so does Peter, I think) that One Law is not a form of Judaism in any sense and certainly is not considered aligned with Messianic Judaism (actually, that’s not true in every case, since the OL congregation I once attended/led/taught at was respectful to both Judaism and Christianity, apart from their belief that they held an equal obligation to Torah with the Jewish people, and I was working on helping them redefine that somewhat when it became necessary for me to leave them). I’m not trying to be mean and again, most of the OL people I know are good, honest people who just want to serve God the best they can. But given the other sorts of folks claiming to be OL groups, I’d hardly call OL “THE most sophisticated form” of any type of religious group. Frankly, if men like Carl Kinbar are any indication of the MJRC’s level of scholarship and sophistication, I think it, as a representative of the larger Messianic Jewish movement, is at a definite advantage. Are you going to find a few bad apples? Sure. There were bad Pharisees as you’ll recall. But you’ll also recall that Paul was proud to call himself a Pharisee (present tense). This is why it’s wrong to attempt to characterize the whole group by examining individuals. And you’ll take “sophisticated” out of context too. This doesn’t mean that individuals are sophisticated. Just that One Law represents the most recent evolution in Messianic Judaism, a version which has learned from the mistakes of its predecessors. Sounds Darwinians I know. But there’s some truth to that. The issue is not over what MJRC does with the authority as much as it is over the segregationist attitude and perspective towards Gentiles, which many believe they can support from scripture, usually with blanket statements of: “God made the distinctions” or “The Bible is Jewish so it does not apply to Gentiles”… and we see this same mentality in Christianity, who diminishes the role of Israel and Jews, with similar blanket statements: “They have been replaced, God said so” or “The Church is the New Man”… One Law acknowledges that their is One Body, and acknowledges the distinction of Jew and Gentile, while not having a need to diminish Israel or Gentiles… Christianity as a whole in doctrine feels the need to diminish Jews and Israel for the sake of many doctrines to be upheld, and now some among these MJ groups are doing the same, just flipping the coin. I also have to disagree with what you said Zion about One Law not shunning all man made traditions. But you admitted that all these people you have met, keep the traditions, so either you misunderstood, or the people saying those things were hypocritical, or maybe you were just simply talking past each other. @Peter: You’re right. I misquoted you, however, since One Law isn’t (in my opinion) a Judaism, it cannot be the most sophisticated type within a category to which OL doesn’t belong. @Zion: When I say that many OL people and congregations disdain “man-made traditions” and they declare that they only obey Torah while wearing kippot, tallitot, lighting Shabbos, candles and such, it illustrates what I’ve been trying to say as the main point of this blog post. Much, if not all of OL exists having a significant internal conflict (I won’t go so far as saying hypocrisy, since I doubt that many people in OL actually intend to say one thing and behave in a different manner). They say (again, many but not all OL groups) that they only obey the Torah as taught by Yeshua, and they say that they do not follow the traditions of men at all, but their every religious practice is based on the very traditions they deny. As far as MJRC being “racist,” I’ve tried to explain, both in my individual blog post If God Loves You, Why Are You Complaining and in my series The Equality Puzzle that the standards of “equality” OL people seem to desire relative to all of the covenant promises in the Bible, does not reflect the reality of the Bible. They reflect the philosophy of social equality that is promoted by modern western nations, principally the United States. This isn’t a wrong philosophy on a social, racial, ethnic, religious level relative to national citizenship (such as American citizenship), but if God really, really did choose the Children of Israel and their physical, biological, DNA descendents as the people of the Sinai covenant, isn’t that God’s right? Who are you or I to accuse God of not being fair (see the ending dialog between Lot and God for the answer)? The modern Jewish people, including those in Messianic Judaism, aren’t being “racist” when they say that certain covenants and covenant conditions are specifically assigned by God to the Jews. They are reflecting Biblical realities. Don’t complain to the MJRC or to me if that’s an unpleasant realization. Neither they nor I called the Children of Israel to the base of Har Sinai and gave them the Torah through Moshe (The gerim who within three or so generations, intermarried, assimilated, and vanished into Israel and out of the view of history notwithstanding). God did. Talk to Him. I’m sorry if that sounds harsh and I regret if my words hurt anyone’s feelings, but I’ve been trying to communicate this reality of your existence and mine in so many different ways for so long, and I don’t seem to be getting through to you. I’m forced to resort to rather blunt words to express my viewpoint. You and Peter (and many others, I’m sure) will still disagree, but for me, you are wielding a paper tiger. way of covenant faithfulness ” (pp. i-ii). We do not pretend to make a definitive interpretation of halakhah and we wrote “for us and our communities,” not for the whole Messianic Jewish Movement. While we are happy to commend our standards to others as a pragmatic approach to modernity, we do not commend it as halakhah and we do not believe it has any authoritative status outside our own circle. I still need to read the entire “Standards of Observance” document (it only took two pages to inspire this blog post) but I believe that one of the points I made was that the MJRC standards would only apply within its own organization, which would include affiliated congregations. This means, no one else needs to feel “threatened” or “offended” since MJRC standards can have no affect on unrelated groups. In fact, as I said before, other groups, including OL, are free to develop their own standards as they see fit. There’s no guarantee that we’ll all see eye-to-eye across our different religious groups, but that’s not exactly a surprise. You see disagreements across different denominations of Christianity and among the different modern Judaisms as well from time to time. How do you define a Judaism? What are the factors? Be precise. OL people seem to desire relative to all of the covenant promises in the Bible, does not reflect the reality of the Bible. But there is the problem, from a One Law perspective, this is a message made very clear, in Messiah, Paul details this message in Romans and Ephesians, clearly. Instead you are simply opting for a traditional view from Judaism, that does not acknowledge what the Messiah has done, thus the realities are half considered from your perspective and those who share it, clearly ignoring the directive that was laid out by the Messiah and the Apostles. One Law still acknowledges are distinction, between Jew and Gentile, and maintains a none divisional approach, the same cannot be said of your view and those who share it, it simply does not reflect the reality of the Bible. Peter, tone it down with the arrogance part. I am quite sure that R. Kinbar knows a bit more about Talmud than you do. a. It is valuable for the study of the history of Judaisms and particularly for understanding the development of rabbinic Judaism. b. If judicially used, it can offer an important window into the Judaisms of the late 2nd Temple period, and thus provide some aid in understanding the historical, cultural, and even grammatical background of the Apostolic Scriptures. c. The oral traditions of the scribes, which deal with textual issues of the biblical text (i.e., the Masorah), is very valuable for ascertaining matters of textual criticism of the Hebrew Bible. d. The oral Torah offers important insights into the perspectives, beliefs, and worldview of modern Judaisms, and therefore aids Messianic believers in appreciating and understanding the religious perspectives of observant Jews in our own day. As far as I can tell, none of the above reflects rabbinic literature as having any sort of authority in the world of OL/OT on any level. My paraphrase was accurate. Given the list above and, as you say, the fact that Hegg and his congregation follow a significant amount of halakhah based on the aforementioned rabbinic literature, it establishes my point that there is a great deal of dissonance between OL/OT stated beliefs and actual practice. I say keep the evolution going. Don’t submit to codified halacha (e.g. Mishneh Torah, Shulchan Aruch, MJRC, etc). A code is not a conversation. I know you probably have read/studied enough Talmud to realize that it contains the conversation. Churches have written codes. Many OL congregations have written statements of faith, standards, vision statements, and so forth. If you don’t want to codify halakhah, you don’t have to. However other organizations including larger normative Judaism, have the right to do so for their communities. Yeshua could endorse this system because it was a flexible system that allowed alternative opinions. This is really the entire point of this series: to establish that halakhah can “flex” over time to meet the needs of different generations and so forth. It also suggests that if Yeshua could acknowledge the authority of the Pharisees and scribes of the late Second Temple period (even if he didn’t always agree with them), he may very well acknowledge the authority of the historical and current Jewish authorities because halakhah is allowed to evolve and still be acceptable! Peter, sometimes I think you’re picky just for the sake of being picky. How does normative Judaism define itself? Do you think any of the Judaisms including Orthodox, Conservative, or Reform would consider OL a “Judaism?” Would any of their Rabbis consider you a Jew because of your OL beliefs. It doesn’t take rocket science or a twenty-page scholarly paper to figure this out, Peter. Being demanding doesn’t gain brownie points for your side of the debate. Again, you think because he doesn’t cite it as mandatory that this means he disregards it entirely. But that’s not true. Of persuasive authority, we have many sub-forms. One type of persuasive authority is historical authority. Hegg explains that the Talmud has this type of authority–persuasive historical authority. When a book is a persuasive historical authority then you can take it for what it is, use it, draw conclusions from it. This is what Hegg does. It’s what I do. It’s what the majority of One Law adherents do. In fact, it’s really what Orthodox Judaism does. They don’t take the Talmud at face value–you can’t. They view it through the lens of interpretive communities. The presupposition of the interpretive community in Judaism illustrates the persuasive and non-mandatory nature of the Talmudic law (note that I said Talmudic law and not the Codes. Yet even with the Codes there are some disagreements). You say that One Law Messianic Judaism is not a Judaism. This presupposes a definition of AUTHENTIC Judaism. So do you have one? Zion said: But there is the problem, from a One Law perspective, this is a message made very clear, in Messiah, Paul details this message in Romans and Ephesians, clearly. Instead you are simply opting for a traditional view from Judaism, that does not acknowledge what the Messiah has done, thus the realities are half considered from your perspective and those who share it, clearly ignoring the directive that was laid out by the Messiah and the Apostles. One Law still acknowledges are distinction, between Jew and Gentile, and maintains a none divisional approach, the same cannot be said of your view and those who share it, it simply does not reflect the reality of the Bible. Zion, you always present your argument as if it were the only possible point of view given the available data (the Bible). However, that is obviously not true since other intelligent and well-educated (and I’m not particularly speaking of myself right now) people disagree with the One Law position. In any event, for the Messiah to have incorporated the non-Jewish Christians into full membership in the Sinai covenant and thus require that we are all to adhere to the full “yoke of Torah” (or as much as can be kept today), there would have to be Messianic blessings incorporated in the Sinai covenant and recorded in the Torah. They are clearly in the Abahamic covenant and arguably, they exist relative to the New Covenant, though you have to read the Gospel record of the “Last Supper” and certain letters of Paul (see a summary of all that by clicking this link). However, since no new covenant was introduced in the New Testament and we non-Jews can only enter into a covenant relationship with God through one or more of the covenants God made with Israel (meaning we are dependent on Israel for our relationship with God), then any applicable covenant we find in the Tanakh must have a Messianic promise attached. I know, you won’t agree…but it is my point of view and it is valid, though erroneous from your perspective. Peter, I’ve already answered that question. I can’t help it if you don’t want to accept it. I don’t perform on command. Again, you think because he doesn’t cite it as mandatory that this means he disregards it entirely. But that’s not true. I thought you were all about making arguments from specifically documented information. If he doesn’t say it, how do I know what he believes? How do you? Still waiting on that definition of authentic Judaism by which you exclude One Law Messianic Judaism. Then I guess you’re going to be waiting awhile Peter. I’ll obey your commands when you hire me to work for you. Until then, I don’t believe you are in any position to make demands of me. I think you’re building up a head of steam. Take 15 minutes and cool off. Zion, you always present your argument as if it were the only possible point of view given the available data (the Bible). James, I know there are multiple views, why else would we be debating, I simply argue for the view that I believe fits the Bible more accurately, thus from my perspective my claims are made. And yes, I absolutely disagree with your views, but that is ok, I was only stating the view from a One Law position. There would have to be Messianic Blessings? What in the world does this mean, and how does it become a qualifier? All of the covenants carry the promise of the Messiah, just a little heads up. There is no Mosaic Covenant without the Abrahamic, as part of the realization of the Abrahamic covenant is found in the Mosaic, you cannot simply disconnect them. If you can’t define authentic Judaism then don’t say One Law Messianic Judaism is not a Judaism. Peter, I’m also not going to reinvent the wheel and then post a schematic of the process for you either. You know as well as I do how modern, normative Judaism defines itself. You are a Jew if your mother was a Jew or you converted to Judaism through a legitimate rabbinic authority (and I imagine you’ll try to induce me to define “legitimate rabbinic authority” as well). I don’t doubt that you can find some rather esoteric definition of Judaism that somehow includes Gentiles, but I imagine, relative to today’s normative Judaisms, it wouldn’t be accepted. I’ve been more generous and patient with your demands than I probably should be, Peter. Zion, as far as the people of all those covenants go, the Jewish people, I agree with your statements. However we non-Jews are not the direct beneficiaries of the Abrahamic, Sinai, New Covenants, and so on. The Jews are. There are certain conditions in the Abrahamic and arguably the New Covenant that include certain blessings for the nations that are provided specifically through the Messiah, but the Sinai covenant does not have this. As far as Ephesians goes, I just haven’t gotten around to reading it yet with my “Covenants” series in mind. Perhaps it will deliver something earth-shattering that will shake up my senses and my thought processes, but we’ll have to wait and see. The question wasn’t “Who is a Jew?”; the question was “What is an authentic Judaism?” There must be a community, right? Because they all have different definitions of Jewishness. So how do we define the community itself? Peter, you can’t fragment “Jew” and “Judaism.” You can’t have non-Jews practicing an authentic Judaism. Even the Jews in Messianic Judaism aren’t yet accepted by wider, normative Judaism. Do you honestly think that the Judaisms of our day will prefer to accept a group of non-Jews in tallitot as a Judaism? Frankly, the actual Judaisms don’t accept goyim, even those who may be well versed in halakhah, as another Judaism. You can disagree with the right of Judaism to define itself relative to halakhah but nevertheless, they have that right. If you are going to respond by saying it’s really God who defines a Jew and not Judaism, then you’re going to have to wait until the second coming to get confirmation of that belief. It’s been mentioned that there have always been varieties of Judaism. So in the broadest sense, Judaism consists of a variety of approaches that Jews have fashioned to living out a substantial version of the Jewish past in the here and now, from Essene Judaism to today’s Humanistic Judaism. Although virtually all varieties of Judaism have provided a place for non-Jews through conversion and other forms of association, Judaism is essentially a Jewish enterprise. 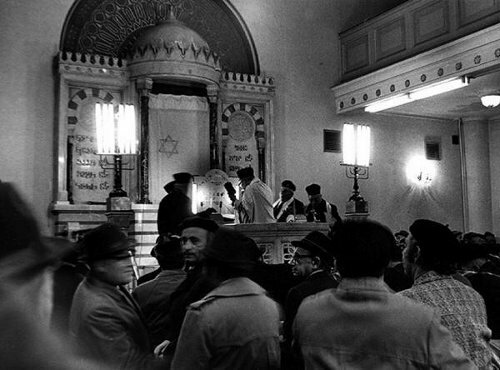 The limits of the varieties of Judaism are crossed in two ways: (1) when Jews shape a way of living in the present with no conscious effort to connect substantially with the Jewish past (e.g, AIPAC, formed by Jews to promote American-Israeli relations, is not a form of Judaism); (2) when non-Jews play a formative role in shaping the so-called “Judaism” and, especially, when the group who practices it is preponderantly non-Jewish (e.g., the Church of those drawn from the nations). . So all Judaisms envision a unique calling of the Jewish people for the sake of the whole world. The integrity of that calling is guarded by the establishing and sustenance of varieties of Judaism that protect the identity and calling of the Jewish people in national and geopolitical situations in which they are a tiny, tiny minority. The notion of a Judaism that legitimately connects with the Jewish past but is shaped by non-Jews for a group of non-Jews is an innovation of the last few decades (excepting groups that claimed to be Jewish by descent but probably were not). As far as I can tell, these so-called Judaisms do not protect the identity and calling of the Jewish people in a practical way. They advocate for the rights of Gentiles to the Jewish inheritance rather than the importance of Jews and their calling. I choose to believe that these so-called Judaisms consist of sincere men and women who, though mistaken in some of their beliefs and practices, love Yeshua and seek to walk in his ways. Is Messianic Judaism an authentic Judaism? I noticed you got offended when I grouped FFOZ under Hebrew Roots on my links section. You must feel very strongly that FFOZ is a type of Judaism. And I respected your feelings and made the update. Why is it that you got offended when someone placed FFOZ, a group with which you affiliate, in a category outside of Judaism? Was it because you felt it was an authentic Judaism? And what was your basis for thinking that FFOZ is an authentic Judaism? You must have a strong basis because you have such strong feelings about it. I want to understand why you feel the way you do. Zion, as far as the people of all those covenants go, the Jewish people, I agree with your statements. However we non-Jews are not the direct beneficiaries of the Abrahamic, Sinai, New Covenants, and so on. The Jews are. There are certain conditions in the Abrahamic and arguably the New Covenant that include certain blessings for the nations that are provided specifically through the Messiah, but the Sinai covenant does not have this. This is still my question, what exactly are those conditions that you are claiming make this such a major difference, so that I can address them? Before you chastise me on not keeping up with a proper reading schedule, I do have a work and family life, so I’ll get to Ephesians by the by. Is that the primary source of your proof? Not primary, all scripture must be taken into account, on the other hand, I am a bit surprised you have not dealt with this topic, considering we have made claim after claim that our entrance into the covenants is found in Messiah, and part of this understanding is clearly found in Ephesians and Romans. If so, I’ll bump it to the top of my reading list this weekend. Glad I’m done writing books for the year (wrote or co-wrote three…no really, I’m a published author). Congratulations, I did not know you were an Author, do you self publish, and do you list these books on your blog? Thank you! Now we’re getting somewhere. I’m going to post your definition on my blog so that people can consider the merits of it. I’ll add the disclaimer now. So Christ made Jews and Gentiles one by abolishing the law, which is how most traditional Christians read it. Sorry, I’m not feeling it. Being “one” doesn’t necessarily mean we’re a single, great, homogeneous mass of humanity (but I know you don’t believe this because of your past conversations). However, if you don’t believe in the absolute obliteration of Jewish and Gentile distinctions, then “one new man” probably doesn’t mean to you what it might mean to a lot of traditional Christians. I suppose another way of saying it would be that “you are no longer strangers and God-fearers…” meaning that the non-Jewish disciples entered into a covenant relationship with God through Israel and specifically the living embodiment of Israel, Jesus Christ. I once tried to make an argument that Gentiles and Jews are equal in the Messiah across all attributes because we are two pens that have been merged into a single flock with Jesus as our good shepherd. Nearly two years ago, I wrote about the results of a conversation between Gene and I which I called Lamb Chop. You can read the whole blog rather than have me copy and paste all the text over here. You should know that Ovadia’s blog no longer exists (that info will make sense when you read “Lamb Chop”) and I can only find “Shelters and Housing for Sheep and Goats” at issuu.com now, which is not the ideal interface for reading the document (but it’s better than nothing). You can be part of the same flock but for various reasons, still be kept in different “pens”. That’s how I consider myself as being “fellow citizens with the saints and members of the household of God…” (Eph. 2:19) We can be fellow citizens of the household of God, and I believe we all are, Jews and Christians alike, but trying to either eliminate covenant distinction or “shoehorning” the Sinai covenant into the Gentile sheep pen (forgive the mixed metaphor) seems a bit of a stretch given the text available.